Machinery Indents takes pride in its commitment to providing businesses throughout Australia with the best in automatic offcoil benders. We work hard to ensure complete customer satisfaction at all times, with our experienced staff available to offer advice and guidance. 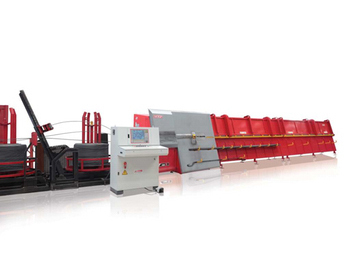 Our range is carefully chosen to ensure we only sell the highest standard automatic offcoil bending machines. Check out our range below. Call our team today on 03 9357 9896 to discover more about our range of products. You can also use our online enquiry form and we will get back to you as soon as we can. The PLANET 16 Plus is a user friendly automatic stirrup bender that provides superior quality of finished products. The combined action of an exclusive series of patented devices minimizes the time for setup adjustments and reduces drastically the amount of discarded products. A drive and control system, based on the latest generation technology, grants to reach unparalleled levels of productivity per hour. The PLANET F13 is a user friendly automatic stirrup bender that provides superior quality of finished products. The combined action of an exclusive series of patented devices minimizes the time for setup adjustments and drastically reduces the amount of discarded products. The MINI SYNTAX 12-16 HS can offer an outstanding flexibility of application, and the capability of processing double wire up to 12 mm in all versions, and single wire 16 mm. Small or large stirrups, straightened or bent bars, as well as circles and spirals are fabricated thanks to a complete array of accessories, able to satisfy the widest range of productive requirements. 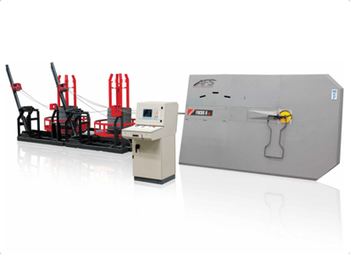 The FOCUS 12-13-14 are a user friendly automatic stirrup bender that provides superior quality of finished products. 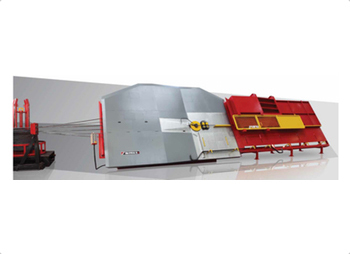 FORMAT 16 HS 3D is the most innovative stirrup bender, designed to produce stirrups out of coil or stock rebar according to the different production requirements in a fully automatic way, guaranteeing maximum flexibility, productivity and quality of the finished product. 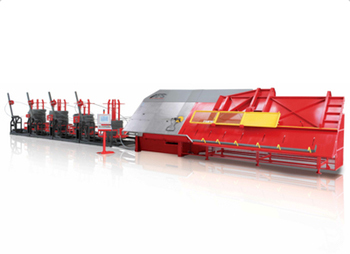 FORMAT 16 HS 3D, is the first equipment in the world to use 100% of the bar's length without generating additional scrap. The F8 and 13 are a user friendly automatic stirrup bender that provides superior quality of finished products. Small or large stirrups, straightened or bent bars, as well as circles and spirals are fabricated thanks to a complete array of accessories, able to satisfy the widest range of productive requirements. The combined action of an exclusive series of patented devices minimizes the time for setup adjustments and drastically reduces the amount of discarded products. A drive and control system, based on the latest generation technology, grants unparalleled levels of productivity per hour. 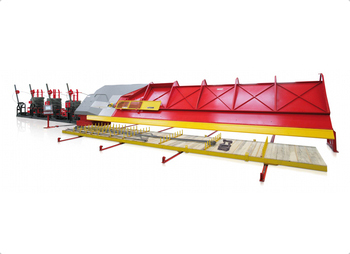 Completely automatic plant, electronically controlled, for the production of medium to large sized stirrups, straightened cut to length bars and bent/shaped bars, with bends on one or both ends, up to a length of 12 m.